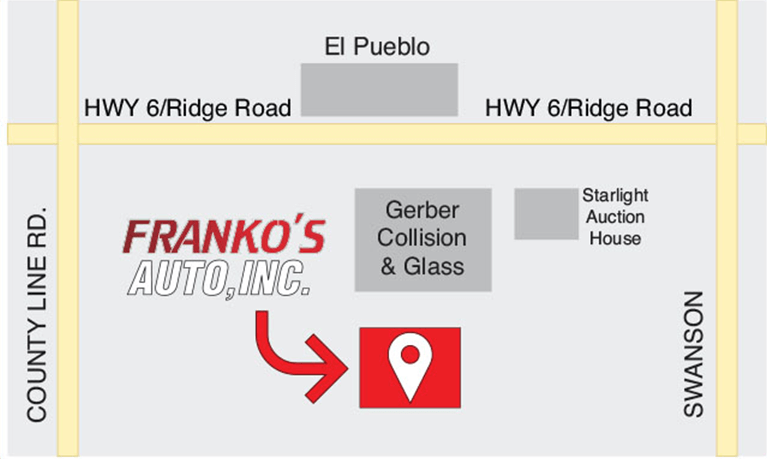 Franko's contactsAuto repair portage indiana – Franko’s Auto Inc.
We are located at 5361 US Hwy. 6 in Portage, IN. between Swanson Rd. and County Line Rd. across the street from El Pueblo Mexican Restaurant.